An IRS approved strategy allowing property owners to reclassify specific assets that currently receive 39 or 27.5 year straight-line depreciation into shorter depreciable lives (5, 7, or 15 year). Generally, items receiving shorter depreciation are those affixed to the building but not necessarily related to the actual operation and maintenance of the building. The goal of a proper Cost Segregation Study is to breakdown all assets of a structure and properly allocate each of them to the appropriate depreciable life category. This can only be accurately completed by a professional with in-depth knowledge and experience in the building and/or construction industry. Who generally qualifies for Cost Segregation? 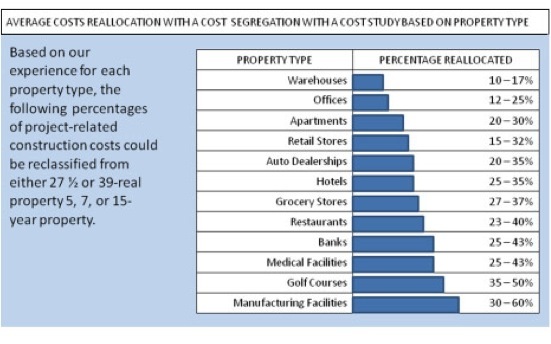 Any owner of commercial property is a potential candidate for a Cost Segregation study. What kind of cash benefit can a Cost Segregation study yield? On average, for every $1,000,000 in purchase price, construction or renovation cost, a Cost Segregation study will yield accelerated depreciation of approximately $250,000. At a standard effective tax rate, this should yield a cash benefit of $100,000. 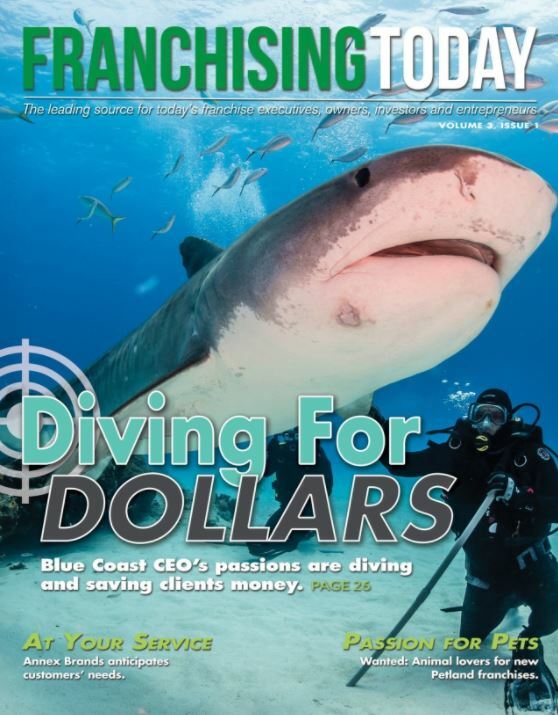 When is Cost Segregation applicable? Cost Segregation is applicable when constructing a new commercial building, purchasing or renovating an existing one, or possibly even years after selling one. Are there different types of Cost Segregation? As A Blue Coast Advisor you will have access to the highest regarded Cost Segregation Method, the Detailed Engineering Approach. According to the IRS, this approach “is the most methodical and accurate approach” (per IRS Audit Techniques Guide, Chapter 3). IRS agreed with the court ruling that Cost Segregation is a valid method for building depreciation. This ruling provided a form of a checklist to determine how to qualify an asset as “personal property”. The ITC is repealed, allowing the newly conceived modified asset cost recovery system (MACRS) to be more favorably adopted for buildings placed in service after 1986. At this time, Residential property depreciation was increased to 27 1/2 years. Commercial Property depreciation increased to 31 1/2 years (and would increase again in 1993 to 39 years). The landmark case that provided a legal basis for Cost Segregation as a legal methodology for depreciating commercial structures. In this case the HCA disputed many items they deemed were “personal property” and therefore should qualify for accelerated depreciation. The courts agreed with HCA, providing a basic model to classify certain components (electrical wiring for example); allowing for rapid acceleration into a 5 year convention as opposed to 31 1/2 or 39 years. While this was not the only Cost Segregation Case, it is regarded in the industry as the victory which allowed for Cost Segregation to go mainstream. CPA’s are tax return specialists not Engineers. Cost Segregation is a specialized engineering-based service that must be handled by a specialist. The CPA/client relationship is quite similar to the family doctor/patient relationship. The family doctor is a “general practitioner” but not a “specialist”. Just as when a specific condition is suspected by the family doctor, they will refer the patient to a specialist in the particular area of ailment; we are the specialist for the ailment of paying too much in taxes! Do I have to amend tax returns to take advantage of Cost Segregation? No. IRS Revenue Procedure 96-31 allows a taxpayer to file a form 3115 Automatic Change in Accounting rather than an amended tax return. Although many CPA’s are still unaware of this option, it is clearly defined by the IRS and is the preferred method to utilize the benefits of Cost Segregation. No. Cost Segregation is backed by the Supreme Court, the IRS, and extensive case law. A cost segregation study will not trigger an audit as long as it is completed by experienced professionals using IRS approved techniques. If the IRS chooses to review our Cost Segregation findings, we will defend our findings in front of the IRS at no cost to the client. We call this “100% Audit Defense” which is inclusive in all of our studies.